Nutritional deficiency and chronic degenerative changes have become common in this modern world. Due to increased stress, a diet that no longer resembles what our genetic coding was designed to utilize, and toxic exposure that exceeds normal abilities, nutrition therapy has developed as a way to support the human in today’s landscape. We are pleased to offer comprehensive nutritional evaluation and corrective recommendations, including supplements and gradual diet modification, to assist in adapting to this world. We find immediate increase in vitality and joy as the primary motive for undertaking this therapy. It is also noted that almost all of our physical conditions respond and may even resolve with specific nutritional support. We encourage patients to include nutritional evaluation as part of their whole person care by setting an appointment for a nutritional evaluation with the doctor. Advanced Chiropractic & Rehab, Inc. is the smart choice to better health in the Youngstown / Mahoning Valley area. Contact us to implement nutritional improvements to feel better by scheduling an evaluation in our Boardman, Hubbard or Kinsman offices. While not everyone may think of visiting a chiropractor at first for a weight loss program, doing so can be extremely beneficial in the process. Excess weight makes it hard for the body’s musculoskeletal system to maintain proper alignment. A spine that is not properly aligned can lead to chronic pain. The extra weight also compresses the joints, compounding the problem. If a person avoids exercise because of the joint pain, the weight problem can quickly and easily spiral out of control. Dr. Lyons uses a combination of chiropractic adjustments, exercise, and nutrition counseling to attack weight problems head-on for his patients. Together, these treatments help patients eliminate bad habits and adopt a healthier lifestyle. We begin the program by setting weight loss goals, a comprehensive physical exam, a computer generated body composition analysis, blood and lab work, and a functional assessment. When starting any new program, it’s important to establish the starting point, and the end goal, from the standpoint of weight and overall health both. Each subsequent visit will include a discussion of you you feel, progress with your exercise and nutrition plan, answering any questions you may have, an adjustment, and a plan for the next visit. Part of the process also includes a detailed nutritional evaluation. We can help you determine what parts of your current diet are helping you, and what habits are holding you back from reaching your goals. We will then make a recommendation to help you improve your eating and change your lifestyle to help you achieve your optimal health. We can create a custom diet and meal plan to meet your individual health needs, including patients who are vegetarian, require a gluten-free diet or suffer from food allergies. In addition to a healthy, balanced diet, we can help you obtain the right nutritional supplements to ensure your body gets all the vitamins and minerals it needs to get healthy. We also provide, and teach you how to use, a diet log to help you track what you eat, and keep you on track. 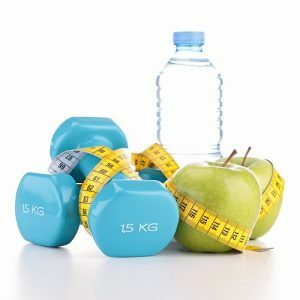 “Our attention to balanced nutrition also prevents many of the problems associated with fad diets, including irritability, nutrient deprivation, fatigue and hunger. Our program works because it is not a diet but a lifestyle change.” According to Dr. Michael Lyons. No weight loss program would be complete without an detailed exercise program. We will provide you with one that includes cardio, resistance training, and core training. It is important to include all types of training, as they each provide different benefits as we work to help you achieve complete health. We can also show patients corrective care exercises that support joint mobility and safely bring movement back to the body without risking injury. “Once we get a patient’s diet back on track, we focus our attention on adjusting the musculoskeletal system to safely support movement and exercise,” said Dr. Lyons. “As the weight comes off, the stresses on different parts of your body change as your center of gravity changes, and we work to help your body keep up with it. Proper spinal alignment is essential to helping your body’s processes work correctly.” The brain is the command center of the human body. It tells your body what to do via the nerves that run down your spinal cord and out to every part of your body. This includes not only things like body position, sensation, and pain, but also essential functions we take for granted like your heartbeat and breathing. Your spine protects this highway of information, and any interruption of the signal caused by a spinal misalignment can cause a traffic jam that prevents your body from working at its optimal level. The program includes 15 visits over 90 days. Average cost for this program may vary, and some parts of it may be covered by your insurance. Advanced Chiropractic & Rehab, Inc. is the smart choice to better health in the Youngstown / Mahoning Valley area. Contact us to start the healing process in our Boardman, Hubbard or Kinsman offices. Advanced Chiropractic & Rehab, Inc. is a proud supplier of Standard Process products. Standard Process offers a line of over 160 whole foods supplements that are easily implemented into any nutritional program. Advanced Chiropractic & Rehab, Inc. also offers nutritional consults to determine which supplements will be the most beneficial for you. We can can guide you through the process of various purification programs. For additional information on Standard Process products please visit the Standard Process Fundamentals page of their website or contact us. *While we carry Standard Process products, neither Advanced Chiropractic & Rehab nor any third party associated with, related to, or linked to Advanced Chiropractic & Rehab’s business or website is in any way affiliated with Standard Process Inc.® Standard Process expressly disclaims any responsibility for, and makes no representations or warranties regarding, any statement, information, materials, or content found on or included in Advanced Chiropractic & Rehab’s marketing materials/website, or any third party marketing materials/websites related to, associated with or linked to Advanced Chiropractic & Rehab’s business or website. Standard Process products are dietary supplements and not intended to diagnose, treat, cure, or prevent any disease.